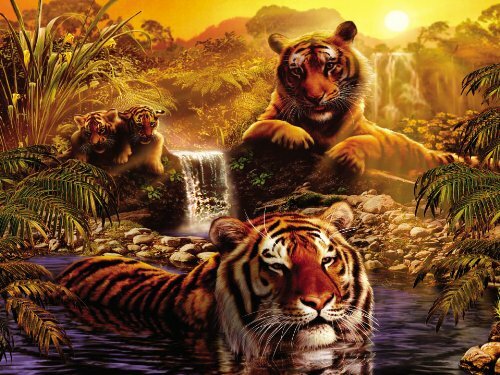 Tigers At The Waterhole Jigsaw Puzzle by Ravensburger is an awesome jigsaw puzzle! 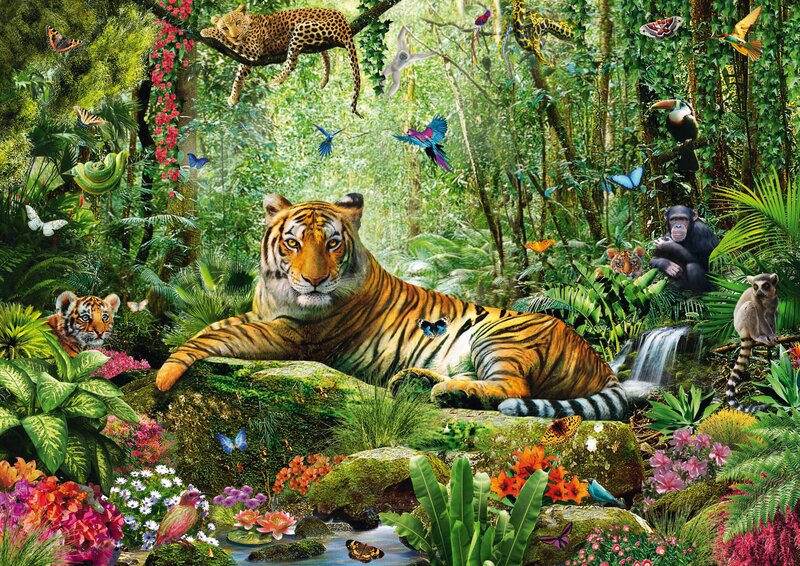 Tiger Falls is a beautiful Ravensburger 500 piece jigsaw puzzle that measures 19.25 inches by 14.25 inches when finished. 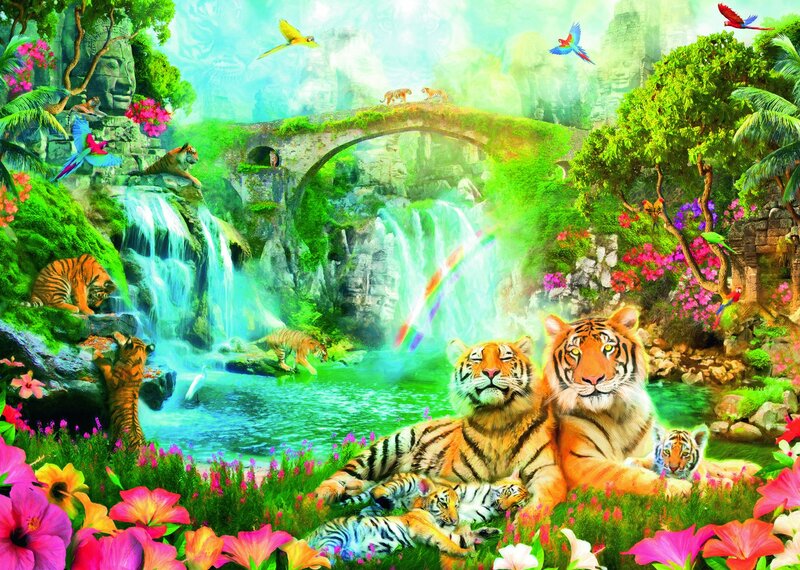 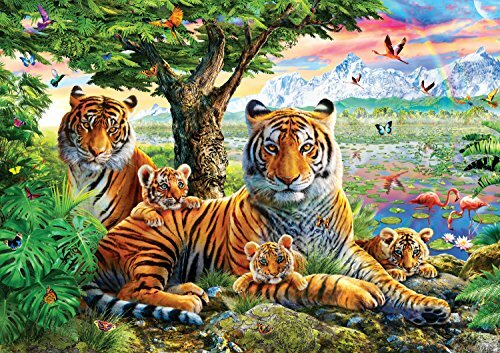 Ravensburger Tiger Grotto Jigsaw Puzzle is a high quality 1000 piece jigsaw puzzle that measures 27.5 inches by 19.5 inches when finished. 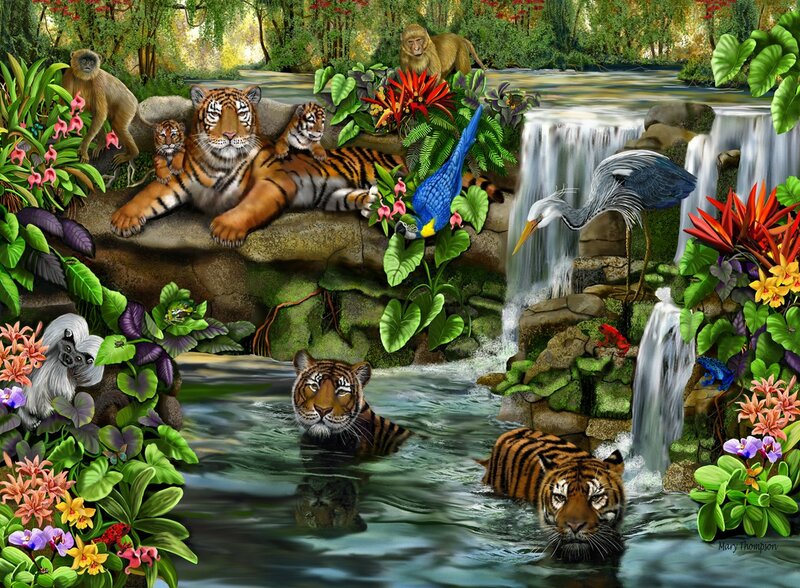 A tiger family relaxes by a wonderful pool and magical waterfalls. 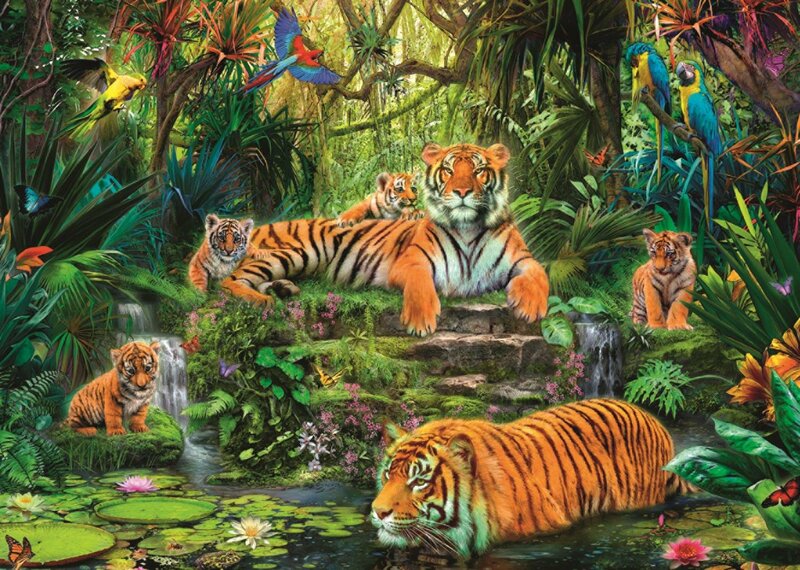 This 1500 piece jigsaw puzzle “Jungle Tigers” by Schmidt Puzzles measures : 33.31 inches by 23.54 inches when finished. 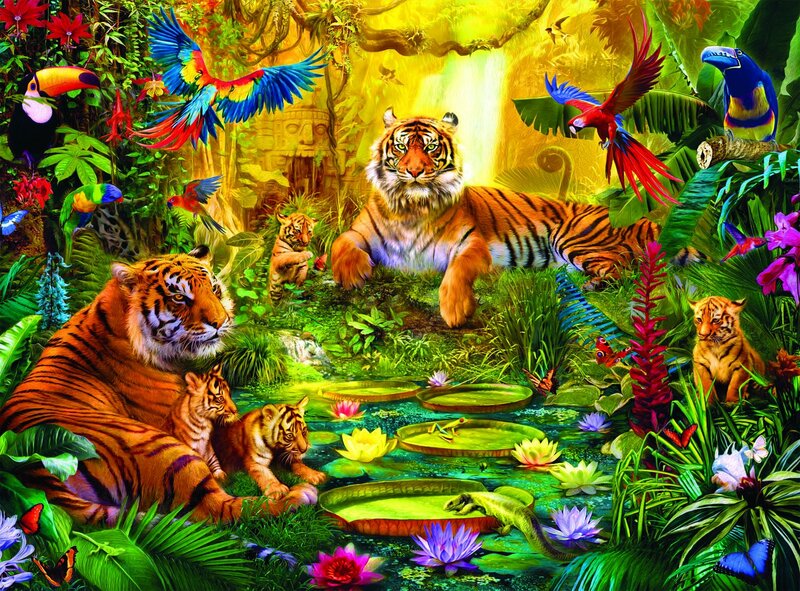 If you love Tigers this beautiful Ravensburger jigsaw puzzle is not only fun to do but it will challenge your mind and educational as well! 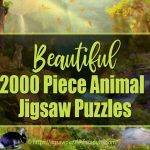 The perfect activity for the whole family and this would make an excellent gift idea for all ages. 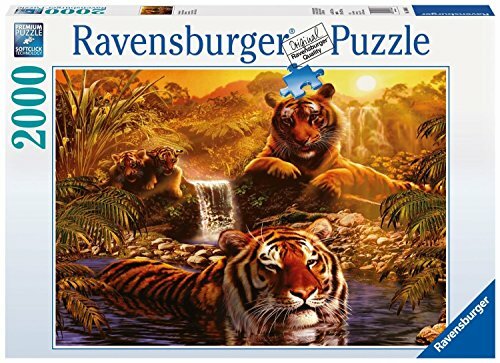 This jigsaw puzzle has Ravensburger excellent quality. 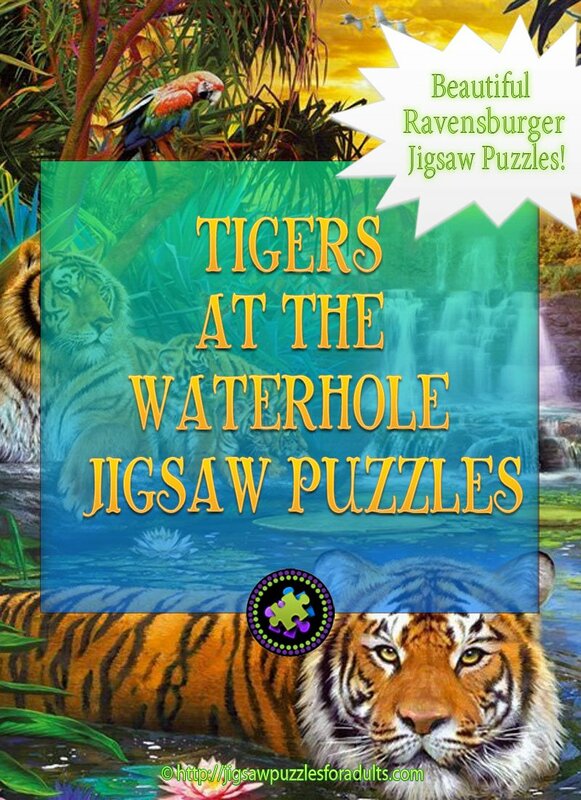 The laser-cut jigsaw pieces will make assembling Tigers at the Waterhole Jigsaw Puzzle a delightful challenge. 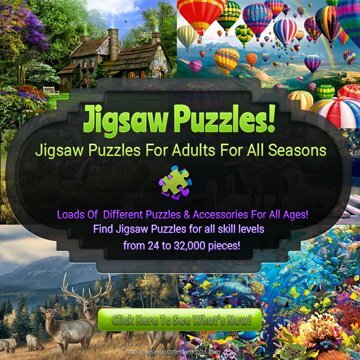 Ravensburger jigsaw puzzles are cut from excellent quality recycle green board, and packed inside of a shrink-wrapped box. 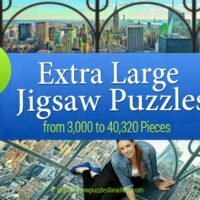 Strong jigsaw pieces that will not break. 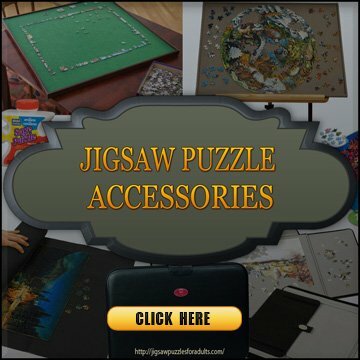 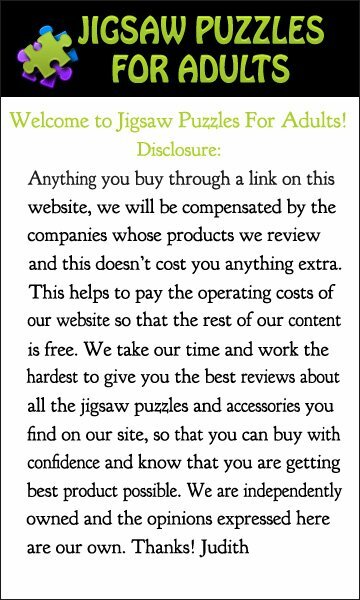 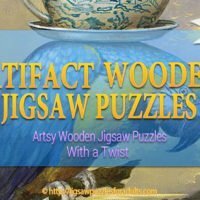 The jigsaw puzzle is manufactured on grained paper which makes sure that the images are glare-free. 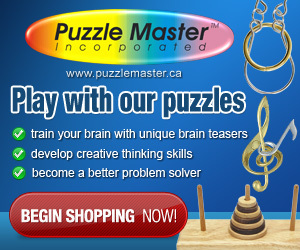 Ravensburger is known for it’s precision cutting which results in an exact precision when it comes to interlocking. Tiger Family in the Jungle is a 1000 piece Signature Tiger Family jigsaw puzzle, that features bold bright colors and exotic jungle animals. 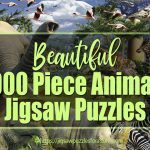 This Tiger puzzle has a matte finish that reduces the glare and makes for a better jigsaw puzzle experience. 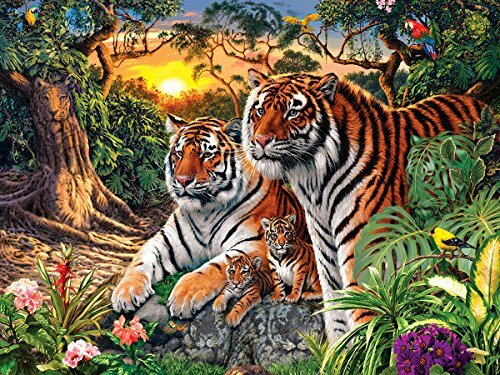 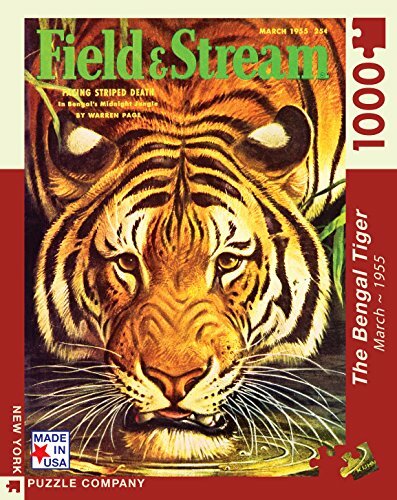 The Tiger family in the Jungle is a 1000 piece jigsaw puzzle that measures 26.75 inches by 19.75 inches. 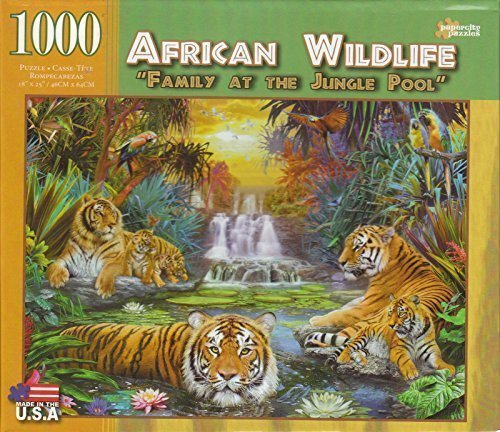 Family at the Waterhole is a Jumble 1000 piece jigsaw puzzle. 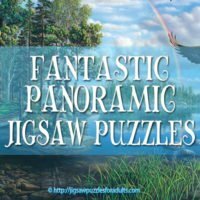 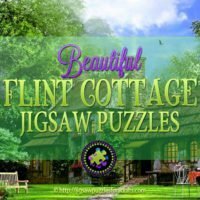 If you are still looking for More Wildlife jigsaw puzzles check out our other pages!